He has been my doctor for 30 years and I trust him with my life. My husband feels te same also,He has kept us in good shape so far and I hope he can keep it up..
Good visit and follow-up with Dr Riser. Waiting to hear from Cardiologist for Stress Test as well as Pulmonologist for Pulmonary Function Test, and Opthamologist for PVD in right eye. Concerned about discontinuing Metformin for my type 2 Diabetes that I've had for 20 years. Also just paid for 180 tablet refill. Everyone was very efficient and professional. It was an excellent experience! We appreciate the friendly and helpful environment that we experience at each appointment. They are a great team that helps us with our medical needs. I travel to see Dr Riser! He gives you the care and attention that is rare . he is very kind and wants to see you at your personal best. 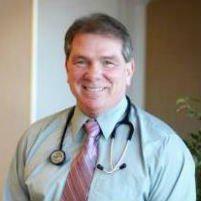 His staff is always helpful and he manages to find the best nurse practitioners ever. I will never have to look for another doctor. Riser Clinic offers everything, even a walk in. Love when people love people. Great people and I am thankful for all of them. Great Doctor, wouldn't use anyone else. Wait time is something else..
i have been treated with respect and kindness on all my visits. I am a patient of doctor risers and i would never give him up. he is the best. My husband and I both will always go to doctor Riser. Every body is always so nice and helpful. Dr. Riser takes time with you to explain things and answers your questions. I wouldn't want to go anywhere else. I was given great care by receptionist, nurses and Dr. Riser. Polite and gentle and helpful nursing staff. First class, thoughtful, knowledgeable, and experienced personal care. I always feel totally confident that I am in the best hands for my medical needs. Dr. Riser truly cares for his patients and it shows. i had a Short wait. YEAH. Dr. Riser was very thorough. He made time to go through every questions I have. I couldn't ask for a better Doctor. Dr. Riser listens to his patients and does not rush through the visit. Staff is friendly. Wait times can be long but its worth it.